Greg Parks, a member of the Bowling Green State University Athletics Hall of Fame who remains the fourth-leading scorer in Falcon hockey history, has died. Reports of Parks’ death were posted on Facebook Tuesday afternoon (June 16). He was 48. Parks had 240 points in 178 games from 1985-89. The forward’s 101 goals are the ninth-most in school history and his 139 assists are the sixth-most by a Falcon. Parks — affectionately referred to as ‘Parksie’ — was a native of Edmonton, Alberta, and still lived there. The Falcons were 117-55-7 overall and 81-40-7 in the Central Collegiate Hockey Association during his four seasons. 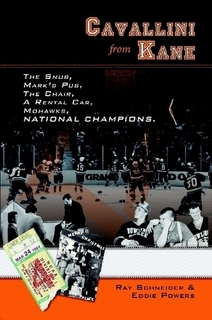 BG won the 1987 CCHA regular-season championship, and finished second in the league in 1986 and 1988. The Falcons also won the 1988 CCHA playoff title, and advanced to the NCAA playoffs in each of his final three seasons. Parks was a first-team All-CCHA honoree and first-team All-American in 1989 and was inducted into the BGSU Athletics Hall of Fame in 2002. During the 1988-89 season, he was third in the nation in scoring with 74 points in 47 games. Parks had terrific skill and played far bigger than his 5-foot-10, 169-pound body. He was a pest in the hockey vernacular and was widely disliked around the CCHA, but he was loved by his teammates, coaches and Falcon fans because of his desire to win and his competitive nature. One teammate once said Parks “would cross check his mother if it meant winning a game.” Parks totaled 277 penalty minutes in his BG career. Parks won a silver medal in the 1994 Olympics, playing for Canada. After playing at BG, Parks went on to play 14 seasons professionally, skating in the National Hockey League and internationally. He skated parts of the three seasons with the NHL’s New York Islanders from 1990-93, totaling a goal and two assists in 23 games.